I don’t think most people appreciate how much inflation can affect their retirement plans. Can you explain how inflation can erode purchasing power during retirement and tell us what do to deal with this threat? Inflation hasn’t been front-of-mind lately probably because it’s been quiescent in recent years, cruising along with some variations at a relatively tame pace of less than 2% a year over the past decade. And if you look at a common gauge of future inflation expectations—the difference between the yield on long-term Treasury bonds and that of Treasury Inflation-Protected Securities, now about 1.8 to two percentage points—investors apparently believe inflation will continue to mosey along at a relatively sluggish rate well into the future. But that doesn’t mean you should ignore how inflation, even modest inflation, might affect your ability to maintain your post-career standard of living, or that you shouldn’t consider ways to protect yourself from the effects of inflation in retirement. Why? Well, for one thing, even though investors apparently expect price increases to remain subdued for quite some time, there’s no guarantee those expectations will pan out. I’m not in the business of predicting inflation rates any more than I am stock prices or bond yields, but it’s certainly possible that we could return to the 3% or so a year that inflation averaged over the past 100 years. And it’s not beyond the realm of possibility that at some point in the decades ahead we could experience stints of much higher inflation, as we did in the 1970s when prices increased at an annual pace of more than 7%. Even if inflation remains subdued, it can still take a sizeable bite out of your purchasing power. For example, if you retire at 65 and prices increase by 2% a year for 20 years, you would need nearly $75,000 at age 85 to buy what $50,000 would have bought when you first retired. If inflation gets back to its long-term average of 3%, you would need upwards of $90,000. Besides, even if the overall inflation rate remains low, price increases for some goods and services can far outstrip it. Case in point for retirees is health care, which is the third largest expense for people 65 and older, according to the latest Consumer Expenditure Survey. Over the past 10 years, Bureau of Labor Statistics figures show that the price for medical care increased at roughly 3.3% a year, or about 70% more than the overall rate of inflation. 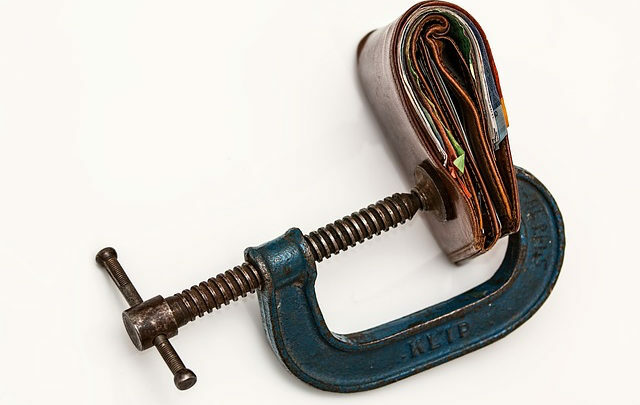 So what should you do to prevent the inflation from throwing the proverbial monkey wrench into your well-laid retirement plans? You can start by building as large a nest egg as you can during your career, since the more savings you enter retirement with, the more wiggle room you’ll have to cope with rising prices as you age. That means pushing yourself to save as much as possible while you’re working. Boosting your savings rate even a couple of percentage points a year can have a major effect on the amount of savings you’ll accumulate by retirement. For example, a 30-year-old who earns $45,000 a year, gets 2% annual raises and saves 10% a year would end up with a nest egg worth nearly $660,000 by age 65, assuming a 6% annual return. Boost that savings rate to 12% a year, and that nest egg’s value climbs to almost $790,000. That extra $130,000 or so can provide a nice cushion against rising prices. When it comes to investing those savings, I think it would be a mistake to overhaul your strategy to make inflation its central focus. Rather, your aim should be to invest in a way that can give you a shot at solid long-term returns under a variety of market conditions for whatever level of risk you’re willing to take. There are no guarantees, but both stocks and bonds have shown that they tend to outpace inflation by several percentage points or more over long stretches. So a diversified portfolio of stock and bond funds—ideally made up mostly, if not entirely, of low-cost index funds—should be able to generate the returns you’ll need to grow your nest egg. If you feel you feel you really must actively hedge against the prospect of higher inflation, you can always add some exposure to funds or ETF that invest in real estate, commodities, natural resources or precious metals. But don’t go overboard. I’d suggest keeping your exposure small, say, no more than 10% to 20% of your holdings. Once you’re retired, your focus should shift to creating an income that will support you throughout retirement, which, as this longevity tool shows, could last a good 30 or more years. Fortunately, one of your main income sources, i.e., Social Security, already provides protection against rising prices since its payment is pegged to the Consumer Price Index. If you’re not already collecting Social Security, you can see what size benefit you’ll qualify for by going to Social Security’s Retirement Estimator. Remember too that each year you delay claiming between the ages of 62 and 70, your benefit increases by roughly 6% to 8%. Future inflation adjustments are added to that higher starting amount, so that in that sense delaying helps preserve your purchasing power even more. You’ll most likely be supplementing Social Security with draws from your nest egg, and that’s where choosing an appropriate withdrawal rate comes in. The idea is to establish an initial withdrawal rate and then adjust for inflation to maintain purchasing power. To do that, many advisers recommended that retirees adopt “the 4% rule“—that is, withdraw 4% of your nest egg’s value the first year of retirement and then increase the dollar value of that withdraw by the inflation rate each year. By doing so, the chances, based on past returns at least, were relatively high—generally 80% to 90%—that your savings will last at least 30 years. Given today’s low bond yields and projections for lower-than-average investment returns, however, many retirement experts suggest starting with a lower initial withdrawal rate, say, 3% or so. You can get a sense of how long your savings might last at different withdrawal rates by going to this retirement income calculator. But whatever initial rate you choose, you need to remain flexible, say, forgoing an inflation increase or even paring your withdrawal for a few years if a big market setback or higher-than-expected spending puts a big dent in the value of your nest egg or spending more if a string of stellar returns causes your nest egg’s value to balloon. As for investing your savings once you’re retired, you want to earn returns high enough to support your spending needs, but at the same time maintain enough downside protection to prevent a severe market setback from totally decimating your portfolio. Generally, that means scaling back on stocks. There’s no official consensus on how much of their savings retirees should hold in stocks, but many advisers recommend somewhere in the range of 40% to 60%. For guidance in arriving at a stocks-bonds mix that’s appropriate for your risk tolerance, you can check out Vanguard’s risk tolerance-asset allocation questionnaire. To help ensure that your income keeps pace with inflation during retirement, there are two other investment moves you may want to consider. One is to invest a portion of your bond holdings in TIPS, or Treasury Inflation Protected Securities, which have payouts that track inflation. For example, Vanguard’s Target Retirement Income Fund keeps roughly a quarter of its bond stake in its Short-term Inflation-Protected Securities Index Fund. 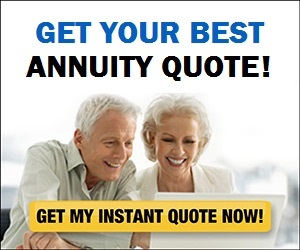 The other possibility is to devote a portion of your savings to an immediate annuity that provides guaranteed lifetime income and raises its payments with inflation. But while such a move does have the advantage of providing an income stream that keeps pace with inflation, relatively few retirees go this route. Many people simply don’t like the idea of tying up their money in an annuity, and even those who can get over that hurdle are reluctant to go with the inflation-adjusted version because its initial payment is so much lower than that of a traditional immediate annuity.